October, which launches newcomer Banita Sandhu in the movies, marks the first collaboration between Varun Dhawan and Shoojit Sircar. 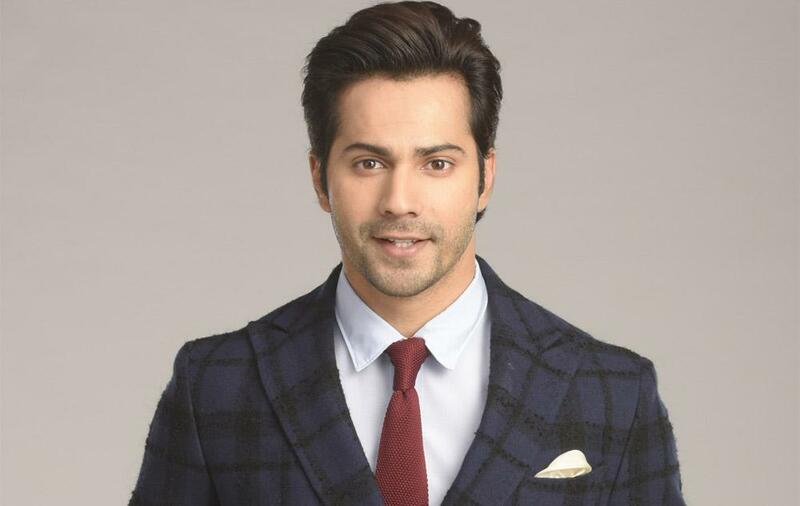 Varun Dhawan is the next superstar in the making! At least the humongous success of all his previous films says so. Ever since making his debut with Karan Johar’s Student Of The Year, Dhawan has not delivered a single dud and that is a proof strong enough to declare that the young star has everything that it takes to be the next superstar of Hindi cinema. 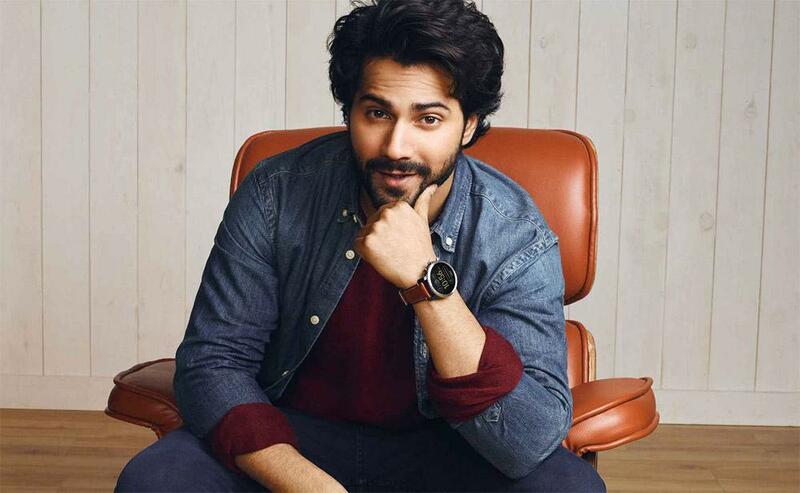 After the earth-shattering success of his last release Judwaa 2, Varun is all set to showcase a new facet of his acting calibre in acclaimed filmmaker Shoojit Sircar’s forthcoming film October. Also starring debutante Banita Sandhu, the film tells an unconventional love story of Dan of Shiuli. The trailer of the film has garnered an unprecedented response from the audience and now everyone is looking forward to watching the film in cinemas on 13th April 2018. As October gears up for its date with theatres, our entertainment journalist, Mohnish Singh, catches up with Varun to know more about the film, his working experience with Shoojit Sircar, and much more. Q. First of all, congratulations for doing such an out-of-the-box movie. It is quite a different film for you. Isn't it? A. Thank you! Yes, it is a different film for me. But since the film has been helmed by a director like Shoojit Sircar, it feels like I have worked with a good captain. Q. How was it for a star like you to work with Shoojit Sircar? A. When you work with Shoojit Sircar, you are just an actor. You cannot be a star in front of him. He, as a filmmaker, gives a lot of love not only to his actors but also to all the technicians who work with him on sets, be it cameramen, lightmen or my staff for that matter. He talks to everyone very nicely. He never raises his voice. He whispers his instructions. The first thing which he did to me was to make me calm down. Q. Did October remind you of something special while you were shooting for it? A. October is filled with such beautiful moments. Not only I, you will also find numerous real-life incidences in the film, which you must have experienced in your life and can easily identify with. Besides that, October is also about time. It's about how much time we give to each other. In the space where everyone has mobile phones, dropping messages and sending emoticons is easy, but can that give you the same joy which you get after spending time with someone? Earlier, people used to spend hours with their grandparents, but now that has vanished somewhere. My character Dan does not use any phone in the film. He does not like phones at all. If something happens and his friends do not tell him, he complains. But how can his friends inform him about anything if he does not have a phone? That character is like that only. Even I believe that he is right. Q. After Humpty Sharma Ki Dulhania, you did Badlapur and surprised everything by playing an intense character in it. And now, you are coming up with another diverse role in October right after the release of Judwaa 2 which was an out-and-out comic entertainer. So, balancing between serious and comic roles happens by chance or it is the requirement of an actor? A. It is the requirement of an actor. He does not do so to prove a point to someone. It is his hunger which drives him to take up different roles. As an actor, it is important to me that I do different roles. If I do not do that, I will not enjoy my work. Creative satisfaction is an important thing, especially when you are an artist. I am not in a 9-5 job where I reach office on time and get timely increments and all. Had I been that money minded, I would have become a film producer. After doing Badrinath Ki Dulhania and Judwaa 2, I could not smile. I just don't want to smile as the camera switches on. I want to go beyond that and do different things. Q. Amongst all your contemporaries, you are the only one who is balancing it extremely well when it comes to playing intense and comic characters both on the screen. A. You know, before becoming an actor, I wanted to own a TV channel where I would have my own late night show to interview celebs, a show with some humour in it, like Shekhar Suman's show. But then I thought why I wanted to do that in the first place. I wanted to do that because I knew I would get an opportunity to meet different people, sometimes a comedian, the other time a villain. Then I thought I myself want to do everything. I wanted to play a hero. I wanted to play a villain. I wanted to do drama. I wanted to do comedy. Today, our cinema is very huge. Even comedy has different types. The comedy I do in a David Dhawan film is totally different from what I do in a Shashank Khaitan film. The kind of humour I have done in Shoojit Sircar's film is completely different from what I have done so far in my career. I believe I think like a studio. If I am a studio and want to make 7 films a year, what kinds of films those would be. So, yeah, I think that way. Q. Shoojit Sircar just told us that he was looking for a fresh face for the role or Dan. Were you aware of the same before approaching him? A. No, I was not aware. But I did go like a newcomer. In fact, he has shared the picture which he clicked when I met him for the film. I remember I was wearing torn jeans with my hair totally unkempt. Shoojit Sircar has not seen my films. He will not see Judwaa 2 and Badrinath Ki Dulhania any day. So, he did not have any image of me. He did not know who I was. Q. Traditionally, a filmmaker approaches an actor for a film, but you have done the other way round. Are you trying to usher in the new change in the industry? A. I have always done that and I have been doing that since my second film. Not only me but a lot of actors also do it. They message directors and request them to meet. I remember how my father feels when an actor messages him and expresses his desire to work in his film. It shows that the actor believes in his cinema. Especially, if a new actor does so, it feels very good. My father and my brother both are directors. So I understand the psyche of a director. If I want the right kind of work, then I know what the right way to get that work is. Your attitude never helps. It does not. You cannot show your attitude in front of a director. He is the captain of the ship. And it’s a wrap for Janhvi Kapoor’s debut film Dhadak!